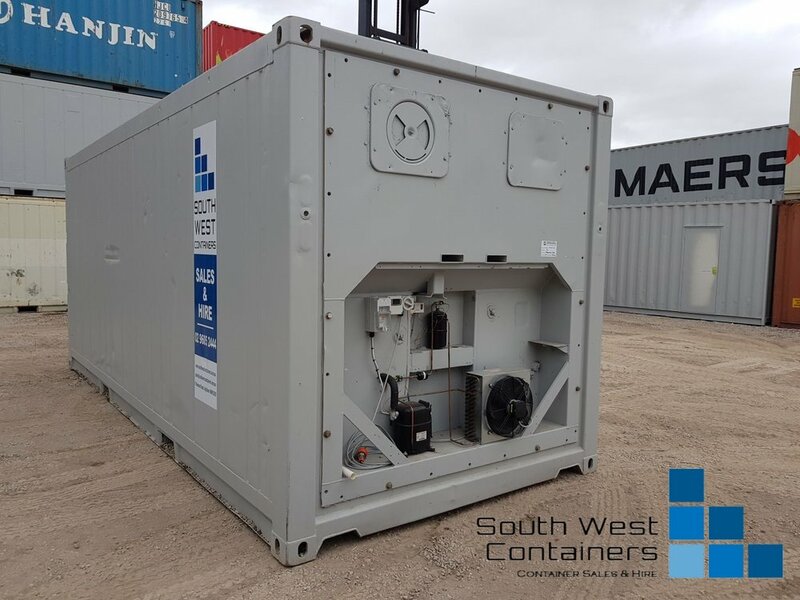 South West Containers are a recently formed shipping container supplier for sale or hire. 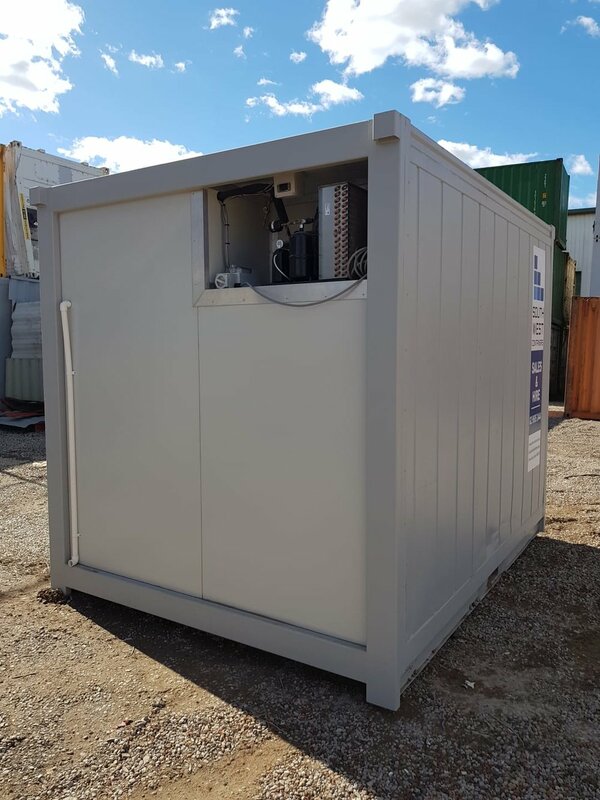 We are equipped to provide Australia with its growing need for shipping containers and our highly experienced professionals are able to help any business find the most suitable container for their business. 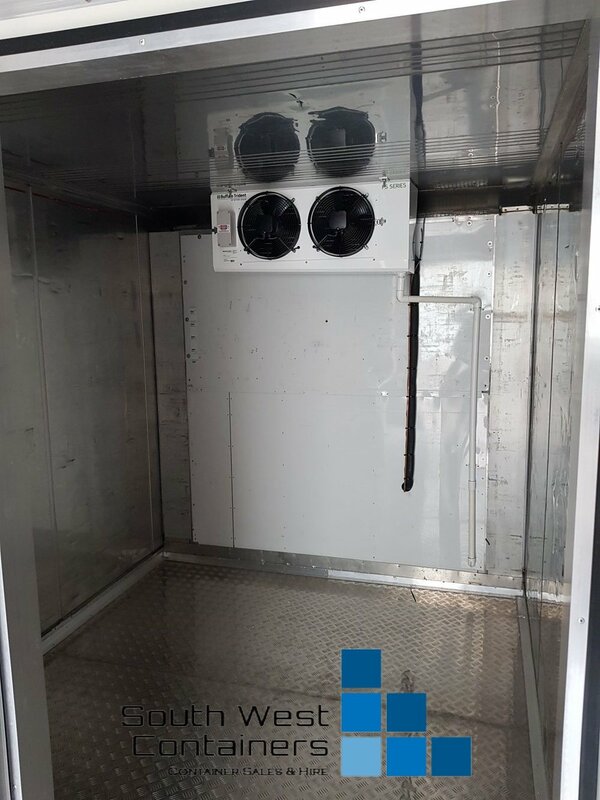 We specialise in providing refrigerated containers, also known as reefers, and our team of refrigeration mechanics can customise your container to the perfect setting for your product. 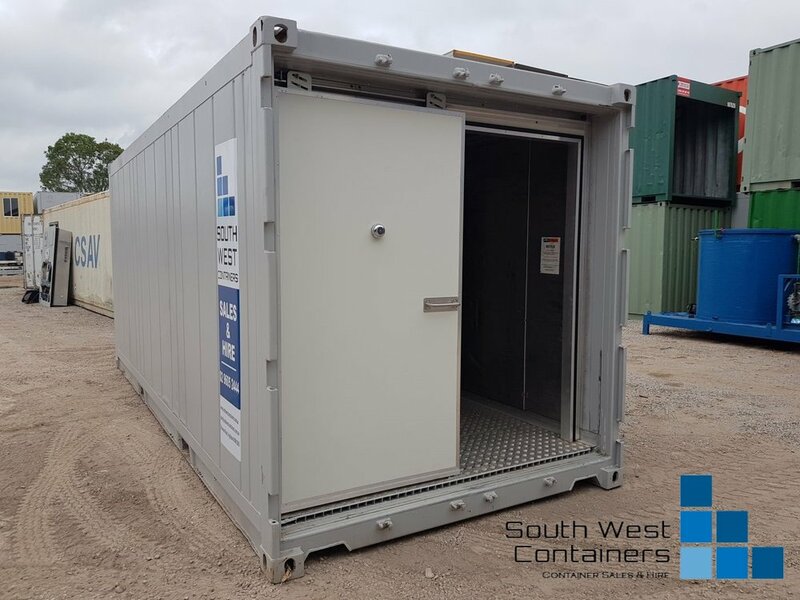 At South West Containers, we specialise in refrigerated shipping containers and are able to offer 100% customisable units, built to order. With our own in-house refrigerated container mechanics, we can provide you with expert advice and help tailor a refrigerated unit to your requirements. 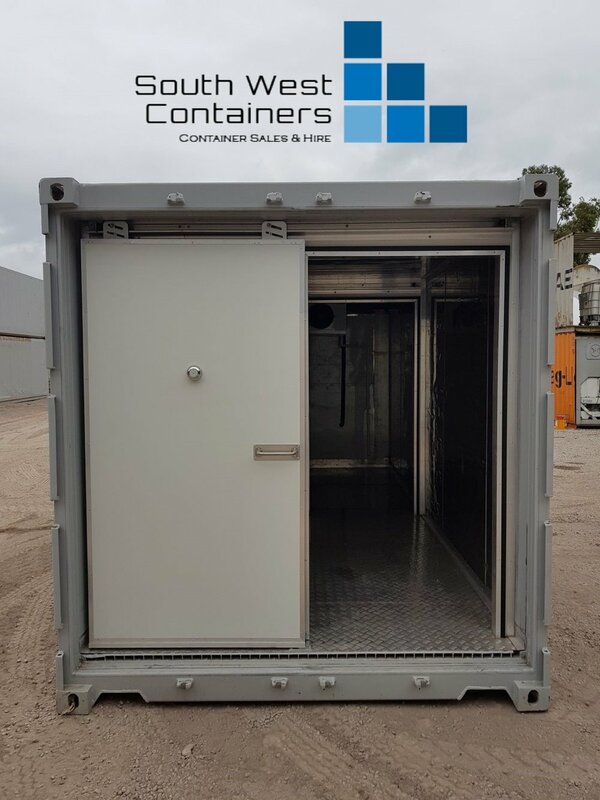 South West Containers are Australia’s leading professionals in providing shipping container and refrigerated shipping container modifications. We can provide all modifications you require for your business’s shipping containers. 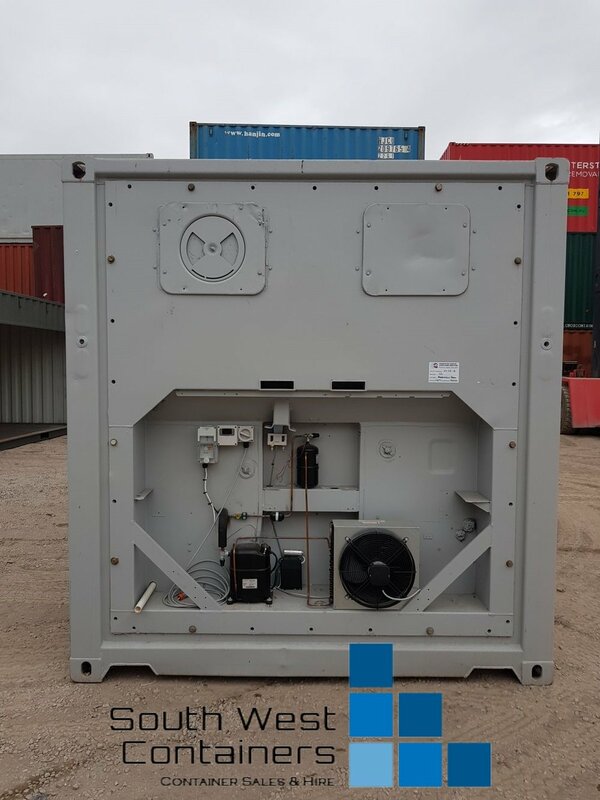 Single Phase Conversions – we can provide a full single phase conversion for your shipping container. 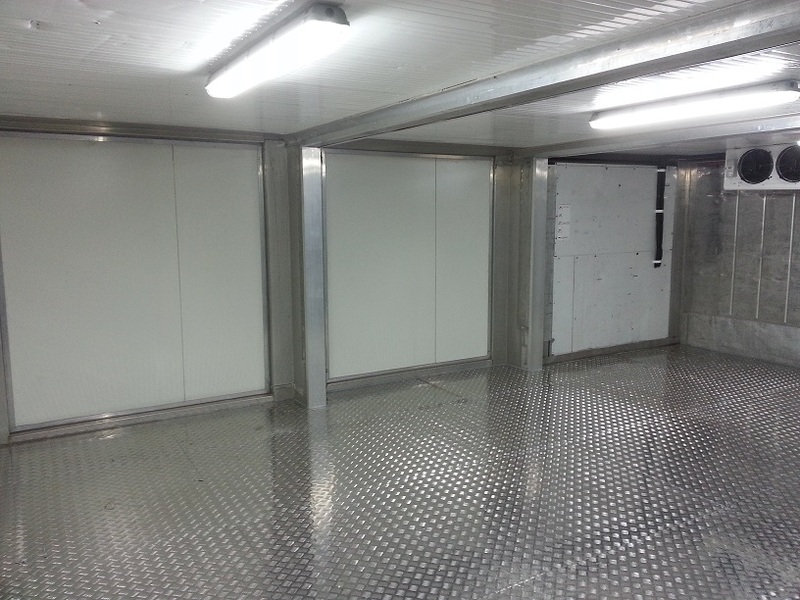 Additional or Custom Doors – we can add additional doors, such as hinged and sliding doors, to your container. 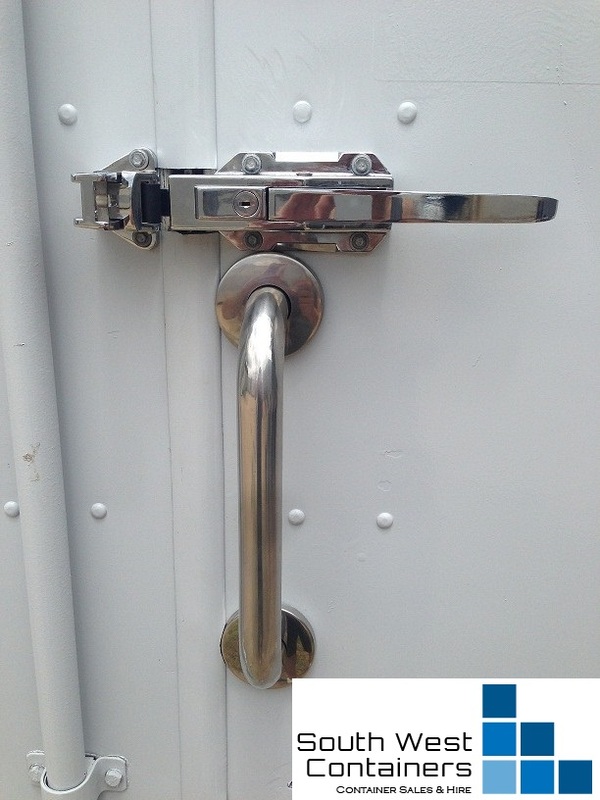 Easy Access Door Handles or Butcher Style Latches – great for getting in and out of your container with ease, we can fit your container with easy access handles. 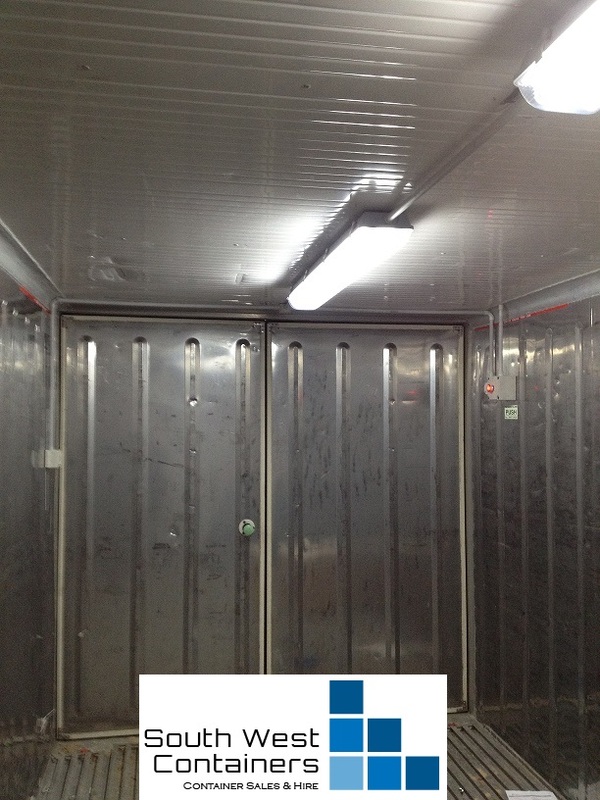 Lighting – we can provide custom lighting for your container to suit the product and the way it is loaded into your container. 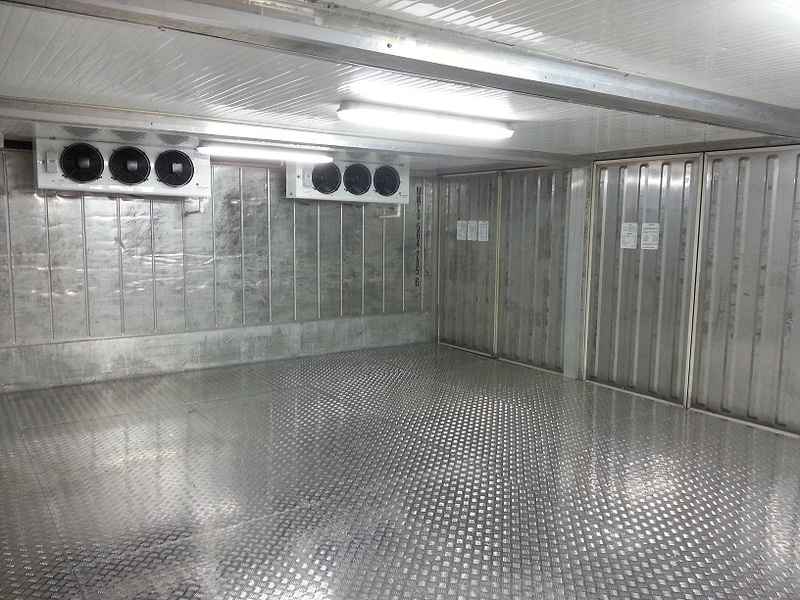 Custom Sized Refrigerated Containers, including inter-connected containers to create larger rooms or spaces. The friendly and experienced staff at South West Containers are always happy to further discuss what we can do for your shipping containers in terms of modifications and adding accessories, so please do not hesitate to contact us to find out more about our shipping container and refrigerated shipping container modifications. 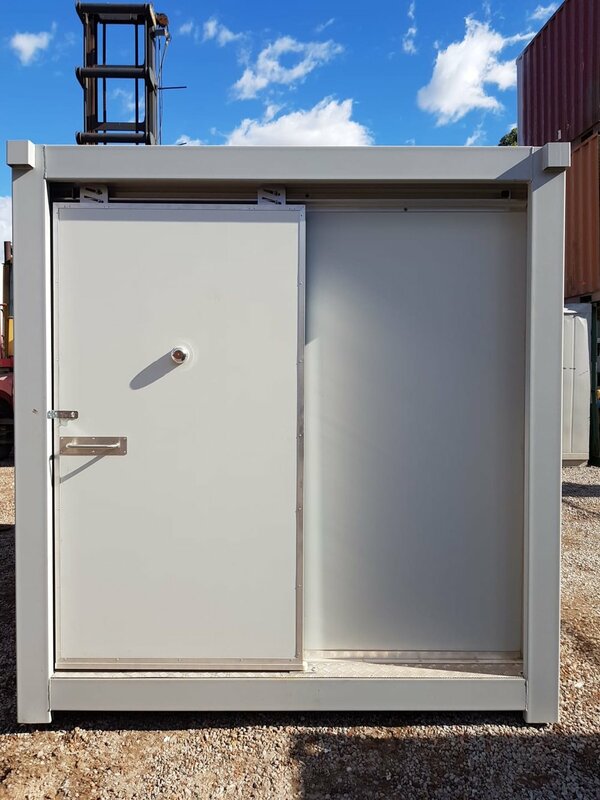 If you have a requirement for a specialised/custom unit and you are not quite sure of what it is you may need, please don't hesitate to give us a call to discuss on (02) 9605 2444 or simply click on the "Get A Quote" button below to email us your enquiry. 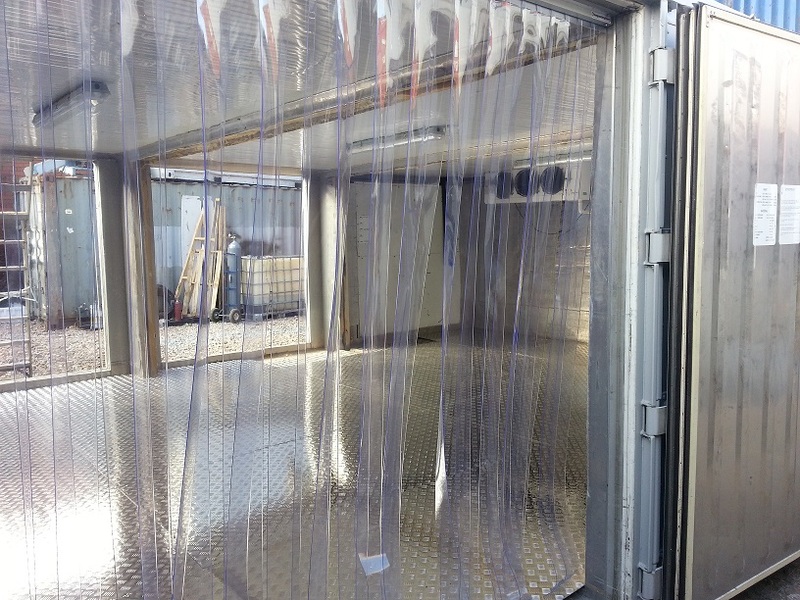 We also provide a huge range of new and used standard and refrigerated shipping containers for sale or hire. Please let us know what is is that you are looking for any will be happy to provide you with a quote.